Hi, but wait, you might want to check this list first for a more concise selection. For the hot spanking new (but not necessarily wow), you might also like to check out the Heatmaps I did for Eater. To reiterate: this is a semi-living document, I update it every so often (usually when I'm procrastinating about other more serious work). Is there a glaring omission? Feel free to let me know. Seventh Son - top Fook Lam Moon alumni. Cantonese perfection. Yee Tung Heen - proper Cantonese with some modern flourishes. Smart casual without feeling stuffy. Kin's Kitchen - family-run with hard-to-find Cantonese specialties. Protip: they can do gluten-free with prior arrangement. The Chairman - MSG-free, careful sourcing, traditional techniques. One Harbour Road - all round favourite for service, food and views. Lung King Heen - the only 3-Michelin-starred Chinese restaurant in the world etc. but the hype has real substance - food, service, ambiance, view - all tops! Book way ahead. 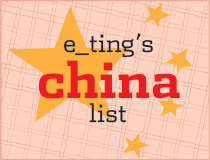 Celebrity Cuisine - quality, skillful Cantonese fare. Kimberley Chinese Restaurant - that pig! Duddell's - they do more than dim sum, but dim sum is the best part. Pricey but classy. Beautiful space, and they do a weekend dim sum brunch on their bijou terrace. Lin Heung (this links to a post from my early days of food blogging, so please excuse the other random crap on that blog...) - it's old school, and the food is rough n' ready. Some people prefer the newer carbon copy Lin Heung Kui on the corner of Queens St. Each to their own, but either way, go at breakfast-time. Fu Sing - a lot of people like this place and swear by its char siu. It's decent all-round and well priced. Have the baked char siu buns. One gripe - they don't (always) do steamed rice paper rolls. A note on Tim Ho Wan - it's not the "best dim sum ever" and the Michelin star is a joke, but for those lower-than-low prices, it's very good, as long as you don't mind waiting for about an hour for a table. There's a branch above Hong Kong Station - nice initiation for new arrivals, or a great snack for the wait at the airport (#protip: get takeaway to avoid the queue). The crispy baked char siu bun *is* indeed good. Loads of branches around town and internationally, even. Side note: Sham Shui Po branch is not the original - the original was in Mong Kok but it's since closed. The Chairman - not exactly organic but back to basics - farm-to-table, locavore, no MSG, traditional ingredients and recipes (to an extent). Pre-order the gum chin gai if you eat liver. Ho Lee Fook & Little Bao - see Modern Asian below. Yin Yang Coastal - you might remember Yin Yang, the private kitchen in a Wanchai heritage building. It's now moved to to a beachside village in the western New Territories and the food looks good as ever. Dragon Noodles Academy - ridiculously well-priced Peking duck, as it's a smaller duck, but that means you don't need a table of 12 to go! American Restaurant - Funny name; old school duck destination. A bit greasy and rough around the edges but I still love their wok hei (get the pig's trachea - yes). Zhe Jiang Heen - The story goes - some rich dudes got sick of the traffic jams in Central just to get to the Shanghai Fraternity (see below) and decided to open their own place in Wanchai with chefs they trust. The food here is consistently excellent. Pre-order the hongshao rou with squid. Snow Garden - old school Shanghainese done well. Many of HK's Shanghainese chefs trained there. Shanghai Garden - nothing too exciting, reliable and relatively easy to book on weekends. My family are regulars. Shanghai Fraternity Association - private kitchen/club. Best you know someone or have a good concierge to secure a table. Xiao Nan Guo - cheap and cheerful with good xiaolongbao - not quite as amazing as Din Tai Fung's but half the wait (at least). Cute desserts and setting too. San Xi Lou - Central/Mid-levels - mala (numbingly hot) hot pot and trad Sichuan dishes, don't order from the non-Sichuan menu. Sijie - private kitchen run by Sichuanese, near Times Square in Causeway Bay. Owner (Sijie) is a hoot - I dare you to down a (BYO) beer with her at the end of service! Da Ping Huo is a private kitchen for those who want atmos and hospitality. The chef (wife) usually comes out and sings opera at the end; the husband is the maitre d' of sorts and is a painter. You're generally well looked after by jovial staff. Just don't go expecting "real" Sichuan food. It's been modernised, or (HK-ised?) but still very tasty. Pak Loh Chiu Chow - reliable, comfortable, and their lo shui is legit. Chan Kan Kee - more like a quick lunch spot or takeaway joint than a restaurant, but they do pretty decent lo shui poached goose. There are plenty around town for every budget. The main thing for me is the quality of ingredients. Amber - Landmark Mandarin Oriental, Central - I've had some truly awesome meals there. One of the first places in HK to cook contemporary European to an international level. Serge et Le Phoque - super fun, casual vibe and sophisticated food in the middle of Wanchai market. There's nothing quite like it in HK. Frantzén's Kitchen - possibly one of HK's most important openings of 2016. There's nothing quite like it in Hong Kong, or perhaps, in Asia. If you've been to Frantzen in Stockholm then feel free to give this a miss, but if you haven't, make this a must. A great introduction to modern Nordic cuisine that showcases the rustic, earthy, hunter-gatherer flavours of the region. Arcane - Shane Osborn's take on non-fussy fine dining. A lot of his ingredients are top notch, direct from Japan. Ta Vie - French-Japanese, super refined, super creative. Well worth a splurge. VEA - (30/F) modern, detail-oriented, tasting menu-only spot with interesting use of Hong Kong flavours. Bar with food downstairs, but I'm not super into their drinks tbh. ON - cheese and excellent fine French fare. L'Atelier de Joel Robuchon - JR needs no introduction, but I must add that his Salon de The downstairs (and now at IFC and Elements) does one of the best sandwich deals in town. Caprice - hyper glam French. Desserts are a MUST and they now do bistro-esque lunch fare at their Bar next door (also see bars section). Mandarin Grill - a classic. Usually nothing to fault from a technical level, and the service is tops. Can't think of a better spot for a high-end business lunch. Since the crazy inflation our city's been seeing, The Grill is actually now a good deal for fine dining. Neighborhood - whether or not you're on a budget, you need to go here. David Lai's (On Lot 10) new place is spectacular and the pricing is ridiculously reasonable. I wish I lived next door. Mercato - very consistent Jean-Georges Vongerichten spot, huge portions (for HK), which means they're good to share. Stone Nullah Tavern - "New American" food on small sharing plates - from chicken fried steak to fennel salad, and beyond. Operated by the same group as Linguini Fini, not quite as cheap, but still cheerful and relatively light on the wallet. Same focus on local, organic, produce, so menu changes sseasonally. Cool vibe and probably one of thebest happy hour deals in town (starts at 5pm, I think, a dollar a drink, and doubles in price every half hour - something like that). Linguini Fini - fun, modern American-Italian with a locavore focus. All fresh pastas for around 100 a plate. Nubbad. Caprice Bar - at lunch on weekdays only. The Four Seasons' fine diner has a separate bar, and it serves proper meals at lunchtime. Excellent bistro food at that - imagine bistro dishes cooked with fine dining precision. Dessert is essential. Otto e Mezzo Bombana - expensive but delicious, especially the pasta and that ribeye for two. Book well ahead, especially now that it has 3 tyres. Carbone - Italian American - yes, the one from New York. No one expected it to be good, but it has delivered and then some. Mark ups on the wine list are ridiculous though. The $500 corkage is actually probably worth it. Beef Bar - probably the only steakhouse I'd go to at the moment for my money. Honbo - until Shake Shack gets here, this will be my pick for burgers. Props for local ingredients, and an awesome burger sauce. If you crave a proper fast-food-style burger (as opposed to the steakhouse/gourmet kind) get the Honbo burger - love that it has two thin patties. Ta Vie - see Contemporary French above. Godenya - tasting menu only, and all paired with sake Actually, I should say the sake takes centre stage, and the food, good as it is, is there to support it. There are only around 6 seats at the counter, plus a private room. Last minute openings often available through their Facebook Page. Sushi Tokami - import from Tokyo. Known for their tuna. Sushi Sase - top of my "high end Japanese to go to" list, I've not been yet, but have only heard good things. Sushi Kuu - "No, OMG, I cannot leave Central!" sushi place. Decently priced for the location and quality (above average). Sushi Shikon (ex-Sushi Yoshitake) - I've yet to blow HK$3k on a meal here, but reports have been stellar (and I rather like Yoshitake in Tokyo). Okra Bar - above Okra (see bar food), omakase only by chef Max Levy (yes, he's not Japanese). Keep and open mind and it's one of the most enjoyable sushi omakase experiences in town. Get the sake pairing. Okra - nice sake collection, lots of interesting unexpected drinks and pseudo-Japanese dishes, chilled vibe. Ronin - even if you don't drink, the modern Japanese food is sublime. If you do drink, then all the better! Huge range of whiskies, great cocktails. Not really fair to call it a "bar" as dinner would easily run you HK$1k. Caprice Bar - brilliant cheeses, wines and ultra-knowledgeable staff (and yes, that's Caprice, the fine diner at the Four Seasons). Butler - Japanese precision. (See Bars) Ok, the food isn't great - it's sort of Japanese western, think spaghetti with cream and mentaiko - but they also always have very good jamon. Foxglove - pricey but good all round for both cocktails and bites. Live music most nights too. 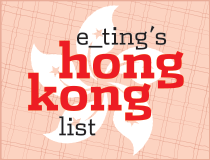 Second Draft - if I had to choose a spot that has me excited about the future of HK dining, this is it. A gastropub, re-imagined with Chinese flavours and over two dozen taps for craft beer, most of which are local and really, actually good. Little Bao - bao-based menu, but don't think Momofuku, because LB is so much more in tune with the Asian palate. Ho Lee Fook - You could call it Modern Chinese, but it got plenty of Southeast Asian touches too. Forget the label, it's just damn good food. The Wagyu short ribs are killer. Chachawan - The only Thai that isn't Chinese-ified and that I can heartily recommend in HK. It's Isaan food - so be prepared for lots of spicy dishes. Kaum at Potato Head - beautiful and a little too hip, but I'll let that slide because the food is well researched and largely well executed (at least the savouries are). Too cool for school music program too. And there's brunch there now too. Jun-Ko - family-style and one of my favourites. A handy pre-theatre dinner spot as it's close to the Arts Centre etc. in Wanchai. Ask for the "raw" kimchi. Le Garçon Saigon - modern Vietnamese bistro. Great grills and banh xeo. Hip and happening. Also check out the banh mi thit at Le Petit Saigon next door. Brass Spoon - pho: beefy, clear-ish soup. Not a huge fan but perfectly serviceable. Fûhn - pho: intense soup, fatty beef, "Vancouver-style" pho, I'm told. Get the avocado smoothie as well. Co Thanh - I still haven't been yet but when I go, I'm going for the bun bo Hue. Ichiran - 24h, heavy Hakata-style tonkotsu ramen, perfect post-party nosh. Ippudo - cheap and cheerful chain. Yardbird - yakitori (mostly chicken). House-infused sakes, etc., a neighbourhood hang turned the hottest opening of 2011, and still super-hot today, by ex-Zuma ex-Masa chef Matt Abergel. Hokahoka - if you ever find yourself in a back alley of TST East (I won't judge), hungry for some Japanese bar food and sake - here you go. Full of Japanese businessmen. Tai Ping Koon - east-meets-west, kitschy 1950s style. This was considered 'western' food to HKers in the 40's. They're most famous for their chicken wings poached in sweet soy sauce and huge souffles. Several branches, I like the ones on Pak Sha Rd, Causeway Bay, and Granville Rd, TST. Decor at Granville is more interesting - 50s timewarp. Kung Wo - tofu paradise, if you're venturing out to Sham Shui Po. San Hang Yuen - speaking of Sham Shui Po, here's a 24h cha chaan teng (diner) that does great minced beef omelet toasties and pork knukcle noodles. And milk tea, of course. Grassroots Pantry - one of the cutest restaurants in HK, helmed by a passionate team who use local organic produce as much as possible and are very committed to sustainability. Kaum - when you need a hearty Asian spread in a totally chill environment and good coffee. Amber - I always get sick after their weekend wine lunch, but I always go back. I think that tells you something. Common Ground - simple cafe food in a hipster PoHo, great atmos. Via Tokyo - hojicha soft serve! (Hopefully it'll be on the permanent menu!) And yeah, lot of matcha stuff if you're into that. Nakamura Tokichi - speaking of matcha, I don't like matcha normally, but I like anything with their matcha jelly in it, and the chiffon cake is pretty bomb. Their hojicha is not my thing though. Lab Made - nitrogen ice cream. Nothing new tech-wise anymore, but I like that they go for very "Hong Kong" flavours like beancurd skin and gingko sweet soup, and condensed milk toast. Some misses though, like lemon Ribena (too milky). Oddies Foodies - the original gai daan zai-in-sundaes shop (lots of copycats now and none as good, tbh) and a good range of sorbets. Sift - dessert bar, cake shop and probably Hong Kong's best cupcakes. Sit-down in Graham St original, cafe in Princes Building (both Central), and takeaway in Wan Chai. Mandarin Cake shop (not Landmark Mandarin) - you can also sit in now. Gobstopping sugar art on show; great cakes, pastries and bread; rose petal jam makes a great souvenir. Island Gourmet - if you want a classic, slightly old-school French cake, this is the place to go. Plumcot - really lovely tiny little French patisserie (takeout only). Their croissants sell out like... um, hotcakes, so get there early. Call to pre-order larger cakes. Coffee - an expanded version here, but even that is out of date now. So many cafes have opened recently, even I can't keep up, which is a very good thing. The Cupping Room - the best. Barista champions and all that. A few branches on HK island. 13Peel - tiny sliver of a coffee bar with a cute little outdoor terrace at the back, opened by my favourite local coffee roasters, Inferno Dynamics. Hazel & Hershey - in additon to great coffee, they also have lots of nice coffee toys. Knockbox - in Mong Kok, helmed by barista champs, "serious" new wave coffee. 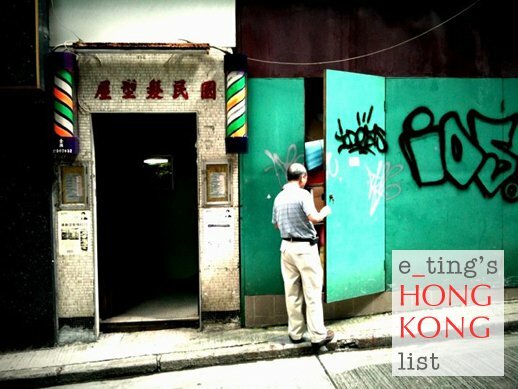 18 Grams - Mong Kok, Tsim Sha Tsui, Causeway Bay and more. % Arabica - a Japanese third-wave cafe that's fast becoming a mini-chain. Crema - here's an OG one for you - one of HK's first 'real' coffee places, but due to hidden/inconvenient location in TST East, lack of PR and coffee knowledge of the public, has never had as much great press as the likes of Fuel Espresso. They only use 1 blend. Espresso Alchemy - also in Quarry Bay, plus a few branches now, and the only place for a proper espresso-based drink out that way at the moment. InterContinental Lobby Lounge - the view! The view! And good food too. teakha (see Patisseries) - not the fancy 3-tiered kind but great coffee and cake type arvo tea. Probably not as much of a concern to visitors, but we are definitely seeing the rise of artisanal breads here and it's worth noting. I don't know about you, but I rely very much on bakeries when I'm travelling alone for a quick carby snack. Levain - one of the only homegrown, independent bakeries in town (another is Tufei Pain Pain but their selection is too small). Mak's on Wing Kut St, Sheung Wan (nb. this is different to the Mak's that most people go to and that you may already be familiar with, which is on Wellington St). This Mak's is by the "original" Mak's son; the more famous Mak's is his son-in-law and grandson. Chee Kei - a very reliable chain. Honolulu - great egg tarts at their Wanchai branch. Don't sit in, just take away the tart. Lan Fong Yuen - junky (but SO tasty) instant noodles with pan-fried chicken, also famed for HK-style milk tea, but it isn't as good as For Kee's, imo. Whatever weird stuff they do with chicken thigh, I love. For Kee - (old: Part I / Part II [n.b. Part I links to an old, short round-up, in which I say the Sheung Wan ain't worth the good rep it's got for good, cheap food. Okay, so SW's not the best, but I take the "not so great" comment back. I've now grown to love SW, especially For Kee - evident in Part II, in which I call For Kee a "gem". Sheesh, inconsistent bloggers.]) For Kee shouldn't really go under the CCT section, but then again, they make one of my favourite milk teas. Their claim to fame is pork chop - it's simply marinated in soy sauce, sugar etc., home style, and pan-fried. Have it on rice, soup noodles or soup macaroni, with choi sum (vegetables), eggs, tomato (and/or - you're the boss!). After about 2pm, they also do pork chop burgers (chop, tomato and mayo - I usually tell them not to put mayo in - personal pref). Ball Kee - 'Western' fried rice and other fried rice and noodles. Excellent 'wok hei' (breath of the wok). In a tiny alley off Hollywood Rd, diagonally opposite Lin Heung. Woks right next to you, barking waitress lady, brilliant. So Kee - the "French" toast is ridic. Another Sham Shui Po gem. Yat Lok - roast goose! Kam's Roast Goose - also roast goose! Part of the family that left the (in)famous Yung Kee. Joy Hing - char siu and siu yuk (crispy roast pork) are my faves here. Ask for fatty char siu ("fei cha") if you like it, otherwise the default is lean, and go early. Sister Wah - clear soup brisket. Better than the famous Kau Kee in my opinion. KK's too fatty and their powdery curry makes me choke. Mui Kee - if you find yourself in Mongkok. Immersive wet market eating experience too. Sang Kee - Sheung Wan, not to be confused with the Cantonese restaurant in Wan Chai. Gai daan zai - I don't really like street food at the stalls on street corners in HK, except for this waffle thing that has protruding oval/egg shapes instead of the standard square/checks. Called 'gai daan zai' and it's a dying art - they just don't make them like they used to. But there are a couple of places that are decent. Note that the Granville guy has moved a little across the street, down towards Chatham Rd - (do check the comments too for more suggestions from more gai daan zai lovers!). And this one, if you're heading to the eastern part of the island, is quite consistently good. Tai Cheong - easy to find as it's now a chain. They make shortcrust egg tarts. Also try their version of donuts - "sa yoong"
Saint Honore - a local bakery chain. Shops with ovens in-house will have warmed shortcrust tarts all day. So easy, so good. The Old Man - experimental but delicious drinks, really well priced. Butler - Japanese bar - precision cocktails like the well-known Executive Bar but a slightly younger, less scary atmos. It's one of the only places to get a proper cocktail on Kowloon side and for that alone it deserves triple-choc-brownie points. Mizunara the Library - the cocktails aren't always my jam (I like more liquor), but the whisky selection is huge and the bartender is super sweet and loves making new drinks. The Woods - creative, fun, delicious cocktails. TAP - local and imported craft beers, and beer-themed food. Best place to go if you find yourself in Mong Kok. The Globe - a proper pub and the place to go for craft beers. Artesian at The Langham Hong Kong - The classics are very good and thank goodness for another good Kowloon-side bar. Dr. Fern - so over the "speakeasy" vibe but it's a good gin bar. Super convenient if you're around Central, as it's tucked away in the Landmark. Nocturne - little Japanese bar in Central with a neat whisky list. L'etage - Another Japanese bar in Causeway Bay, to replace Yu-zen (gone downhill since Butler - see above) and Executive Bar (so serious it can be scary). Could have a larger (a higher quality) selection of pours though. The Chinnery - a true classic at the (original) Mandarin Oriental. Think pub crossed with cigar room in a fancy private club, with brilliant, hearty food (think Brit curry) as well as an awesome single malt collection. I also go in for lunch when I'm feeling like being alone. Maybe I shouldn't be telling you that. Mandarin Grill + Bar - don't mistake the lounge outside the restaurant for a mere waiting room. Their dry martinis are spot-on, and the warmed, spiced nuts don't hurt either (that sounds kind of weird - anyway). Usually has space when other Central spots are full.